Before we set off on our great trip west, we decided it was worth checking out some of Atlantic Canada. 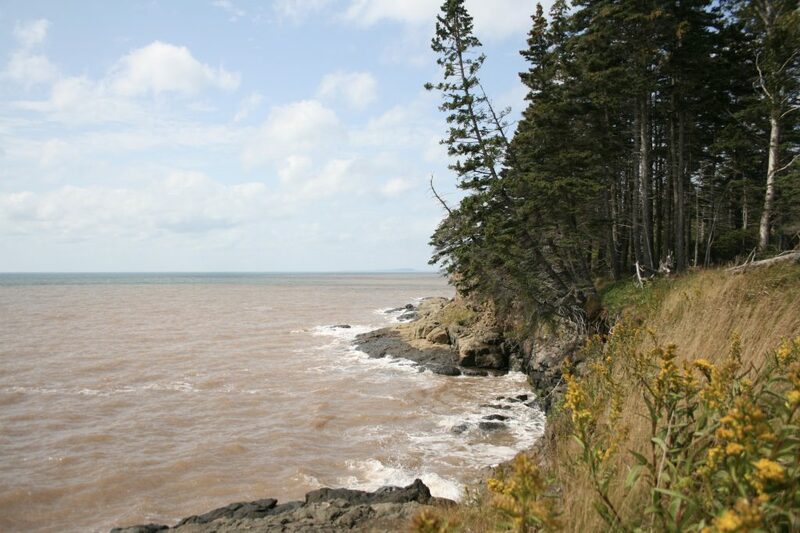 This region, also known as the Maritimes, comprises Canada’s four easternmost provinces: bilingual New Brunswick, isolated Newfoundland (pronounced more like “Newfinland”) & Labrador, tiny Prince Edward Island and breathtaking Nova Scotia. We decided to make Nova Scotia our main maritime destination. We would have loved to have made it all the way out to Newfoundland, but our budget didn’t quite stretch that far. 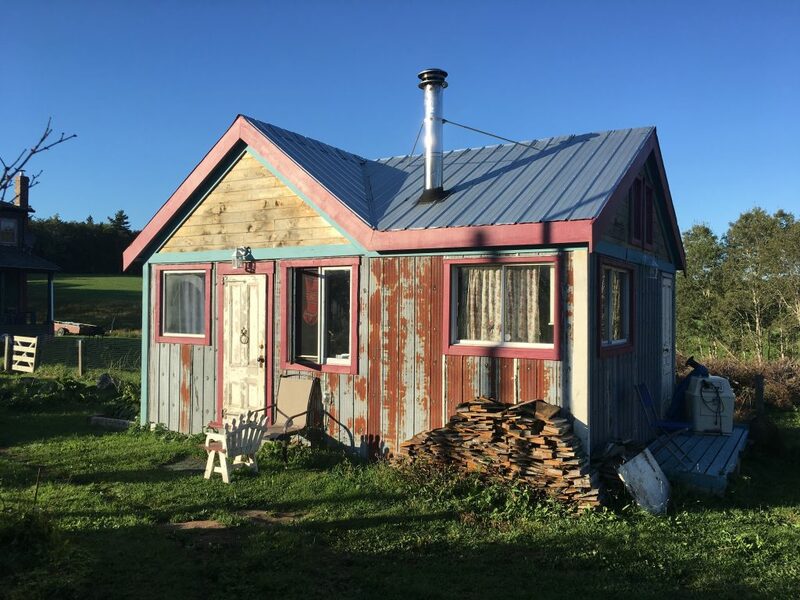 We drove down to our first stop, a coastal cottage in the small village of Harbourville on the north coast of the province, from Québec City. The drive totalled some 890km, which necessitated a one-night stopover in New Brunswick. We overnighted at a studio owned by a lovely Acadian lady by the name of Marie. She was extremely welcoming and insisted on taking a selfie with us and her grandkids! We stopped for Breton-style crêpes in the nearby village of Paquetville before making our way down New Brunswick’s east coast towards Nova Scotia. We arrived at our little cottage just as the sun was dipping below the horizon and filling the sky with amazing colours. 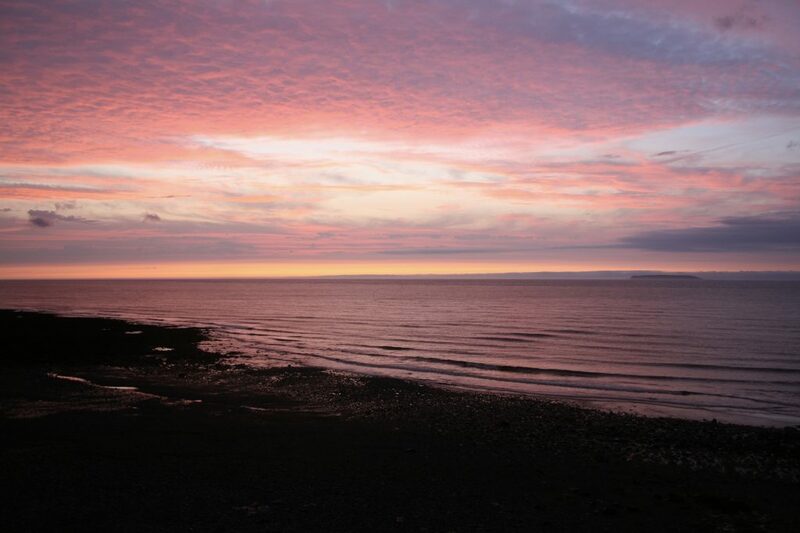 Our cottage was just steps from the shore and we had an uninterrupted view over the Bay of Fundy. At night we could hear the waves breaking gently on the pebble beach as the tide drew higher. The cottage’s remoteness added to its charm and appeal. It was on an extremely quiet road in an area devoid of phone signal and wifi, which forced us to talk to each other and play Scrabble or watch one of the random DVDs left behind in the cottage by the owner (series 2 of House, more specifically). Nova Scotia had no shortage of fascinating landscapes to explore. First we checked out Cape Split which sits on the end of a thin peninsula stretching out into the Bay of Fundy. We hadn’t anticipated that the walking path was supposed to take around five hours so we just took some scenic photos from the car park. A couple of days later came my personal highlight of the trip so far. In the extreme northwest of Nova Scotia is another narrow strip of land jutting out into the North Atlantic known as Digby Neck. Two small islands sit at the end of the Neck: Long Island and Brier Island. 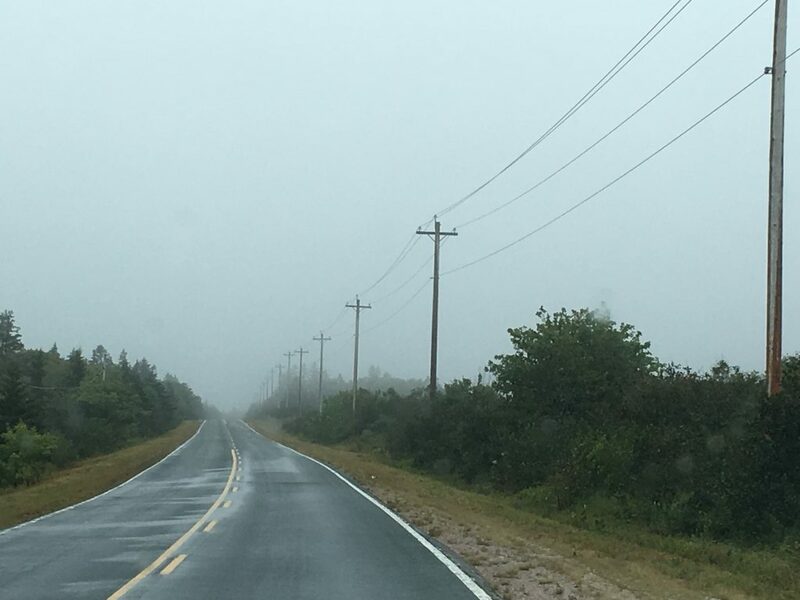 That day the sky was overcast and the roads leading out onto the peninsula were covered in a thick, dense fog. The air grew noticeably chillier as we got further from the mainland and the winds started to pick up. This set of conditions served perfectly to soothe my longing for Iceland which had been to rear its head again in the days prior. The fog and barren landscape coalesced to create something quite familiar and welcoming. The islands at the end of Digby Neck are accessed by means of two fairly-priced car ferries. The return trip to each island is only $7 and the ferries sail hourly. It’s a drive-up affair: you just wait on the road for the ferry and drive on when it arrives. 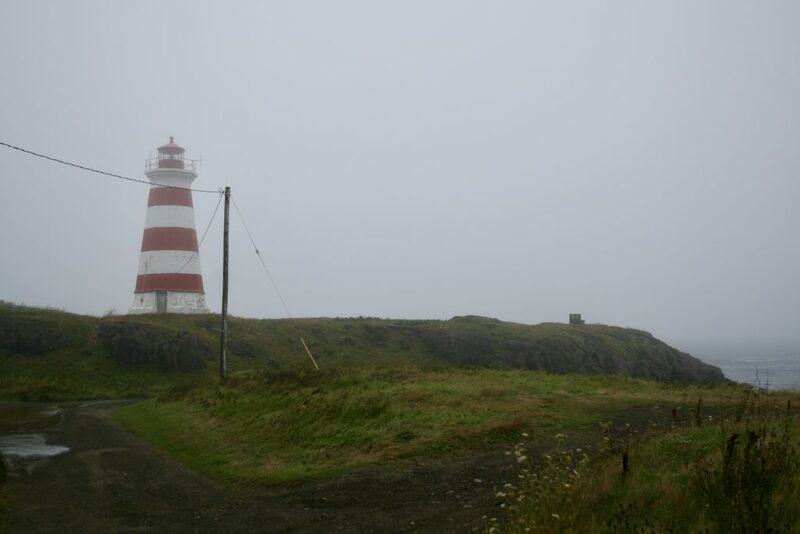 We passed through Long Island as the real treat awaited us on Brier Island: a scenic fishing village and a remote old-fashioned lighthouse that lay at the end of an Icelandic-style gravel road. The lighthouse stood on a rocky cliff face sounding a satisfying fog horn at regular intervals. We parked and ate our packed lunches whilst watching the mists roll over the bay through the windscreen. I felt a sense of calm I hadn’t experienced since I left Iceland. We took an invigorating walk in the bracing winds next to the lighthouse before heading back to catch the return ferry. Soon it was time to move on to our next cottage near the village of Blockhouse, which is on Nova Scotia’s south shore. We made a brief stop in Halifax, Nova Scotia’s largest city, which had a bit of an odd vibe. Skyscrapers and multi-lane motorways clashed with Victorian red-brick buildings. After hanging out in a café serving the world’s largest cinnamon bun we drove down to our cottage and checked in. Our cottage was on a working goat and pig farm, which was also home to chickens, turkeys, a couple of guard dogs and few German volunteer workers. Although there was no running water in the cottage it was quirky and comfortable. The fire pit outside also made for some nighttime fun. The sky was completely clear and pitch-black, which gave us a fantastic view of the constellations and the Milky Way. The cottage was perfectly located for exploration of the south shore. We were only a few minutes’ drive from the harbour town of Lunenburg, a UNESCO world heritage site well worth the visit. It is one of the oldest British settlements in Nova Scotia and the town’s historic buildings have been preserved in a way that is quite rare in North America. The town is home to some great shops and restaurants. We went to Lexicon Books (Montague St) where I picked up a copy of Sanaaq (Mitiarjuk Nappaaluk, University of Manitoba Press), the first Inuit novel ever to be written down and translated into English (after first having been translated into French). The story is a fictional chronicle of the colonisation of northern Québec, which is originally, and still largely today, home to the Inuit people. It reminds me of an Icelandic saga in that its chapters (or episodes) are concise and matter-of-fact with an emphasis on dialogue. Dots & Loops (Lincoln St) is a design shop also worth a visit if you want to pick up some aesthetically-pleasing Canadian souvenirs. 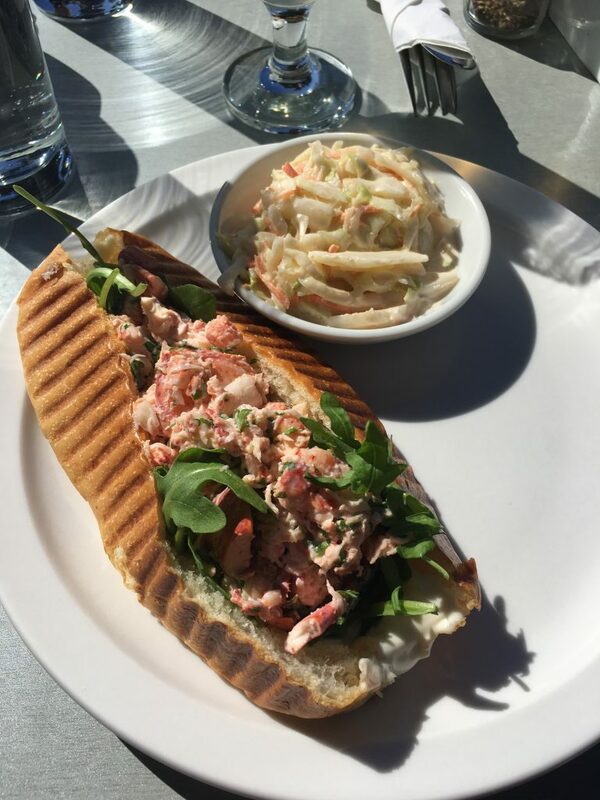 I had heard glowing testimonials about the quality and freshness of Nova Scotia’s seafood and there seemed no better place to try the maritime classic that is the lobster roll than The Savvy Sailor (Montague St). We sat on the sun-drenched balcony overlooking the harbour as I stuffed all that delicious lobster in my gob. 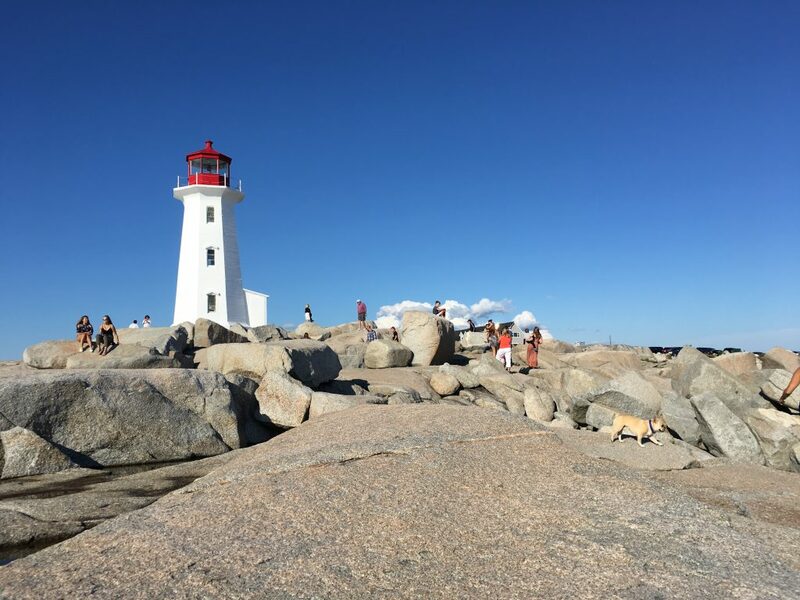 Later that day we drove further along the south shore towards the must-see village of Peggy’s Cove, an excellently-preserved fishing village more or less in the same state it was when it was settled in the late 18th century. The village is perched upon a set of rocky cliffs that provide its enclosed harbour with natural shelter. 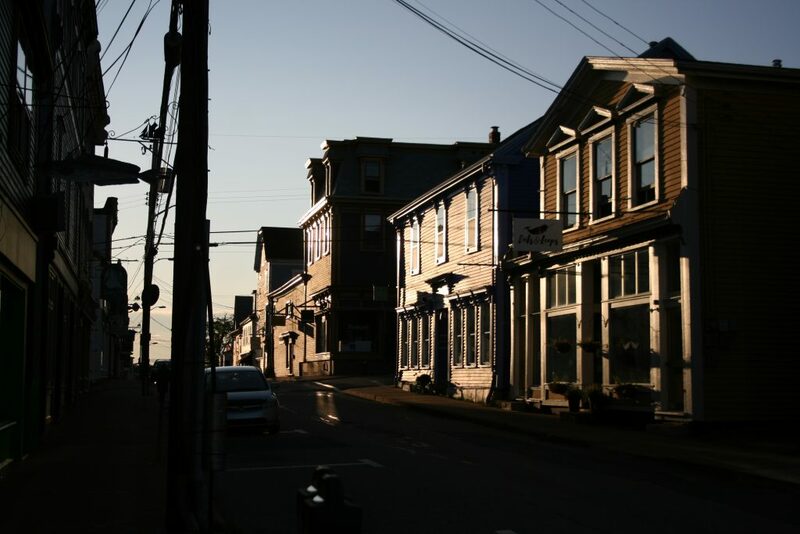 Although it was a bit of a tourist trap, it was still worth the trip just to see the unique setting and original buildings that give you an idea of what life used to be like in the fishing communities that dot the shores of this maritime province. On our last full day in Nova Scotia, we visited Kejimkuji’jk national park on the eastern end of the province’s interior. The park is also a national historic site and home to some famous Mi’kmaq petroglyphs (rock carvings) that were unfortunately closed to the public for unspecified reasons, although we imagined this was for their preservation. 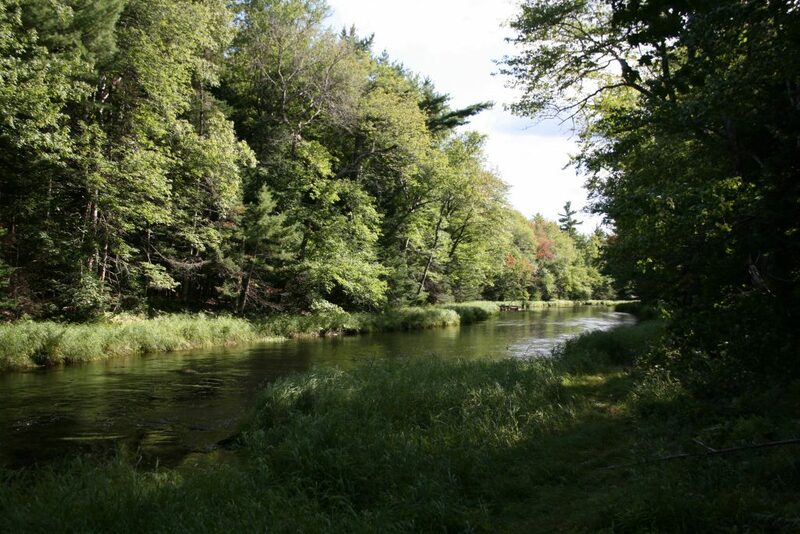 The park makes for a decent day out and is full of beautiful lakes and hiking trails of varying degrees of difficulty. Nova Scotia offered us many of the experiences we were hoping for on our trip to Canada. Its unique landscape and culture made it the highlight of our trip so far and we were both left thinking “when can we come back? !”.